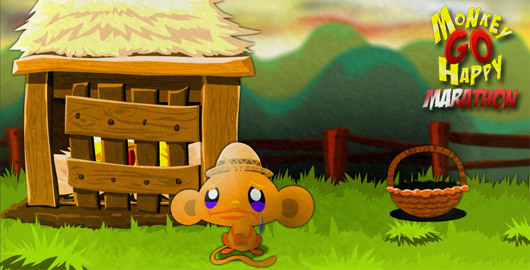 Monkey GO Happy Marathon is the latest installment in the Monkey GO Happy series created by Robin Vencel, the author of the Popular Bowja the Ninja series. 30 levels of More Monkey Madness with this Monkey GO Happy Marathon! Posted on Friday, October 28th, 2011. Follow any responses through the RSS 2.0 feed.